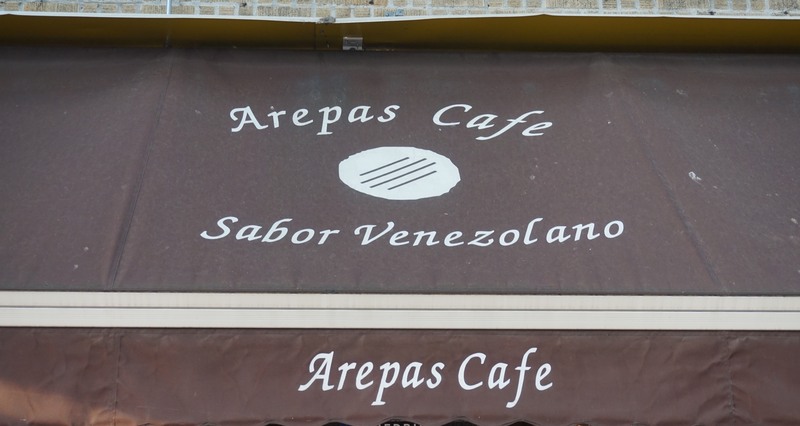 “Haven’t we been here before?” Eugene queried via email after Zio announced his choice, Arepas Café, conveniently located in his home base of Astoria. “The Colonel and I ate there about five hours ago,” Zio told us in his email. “It was good, but I had to use hot sauce.” Not the most glowing praise, but time was running out and he had to make a pick. And we had to eat. “Isn’t there a rule that you are not supposed to eat at the place before we all eat there?” Eugene bellowed as we convened, snuggled tightly together in the small restaurant. “I don’t know, it feels like you’re cheating if you’ve been to the place.” Eugene said. “Yeah, well maybe if you’d been to that falafel place near Columbia you wouldn’t have wasted our time that night.” I replied. “Hey, he didn’t know what a falafel was until then,” Gerry chimed in. 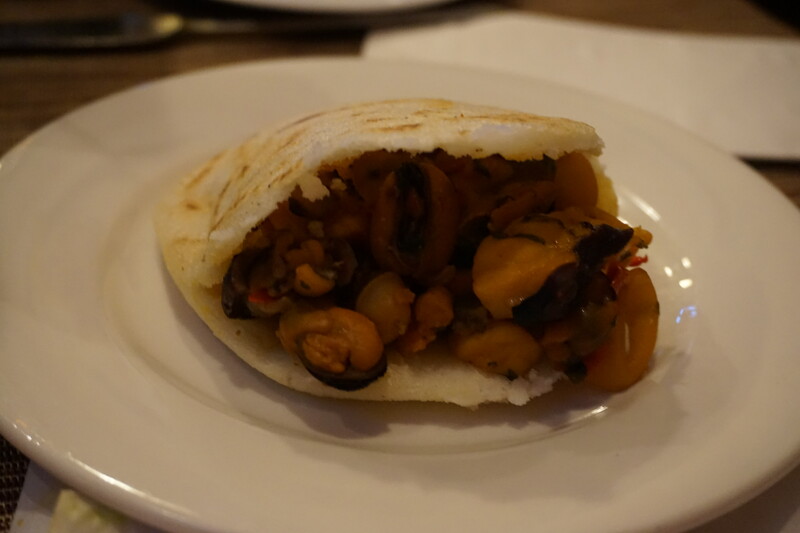 We finally got off the subject of the rules of our group and glanced at the menu which featured a large selection of arepas, cornmeal or maize flatbread, stuffed with a variety of meats, vegetables and seafood. “They have gazon,” Mike from Yonkers announced. “What’s that?” Eugene asked him. “Baby shark,” Mike from Yonkers answered, reading from the menu. “Ohhh, I want that,” Eugene declared. “Ditto,” Mike from Yonkers said with a happy nod. “I don’t care. I want it and I’m having it,” Mike from Yonkers responded callously. Would you eat a baby shark? While Eugene and Mike from Yonkers ordered the baby shark, Gerry and I choose the “mami,” or roast pork with avocado and “white” cheese. “I’ll try ‘Riccardo’s Tuna,’” Zio told the helpful waitress. We started with appetizers of mini cachapas, corn pancakes with melted cheese and asked for the mini empanadas with chicken, shredded beef, and the aforementioned baby shark. As we sipped cold Venezuelan Polar beers, the waitress returned. “I’m sorry, we are out of the baby shark,” said announced. Obviously baby shark was a delicacy cold hearted New Yorkers could not resist. As Mike from Yonkers and Eugene looked to change their arepa orders the waitress quickly returned. “I just talked to the chef,” she said. 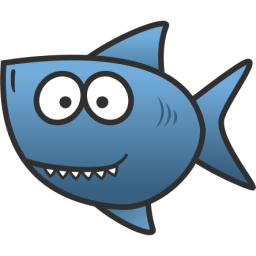 “We do have the baby shark for the arepas, just not for the empanadas.” So they would have their baby shark after all. The cachapas and the empanadas, minus the baby shark, came out first. 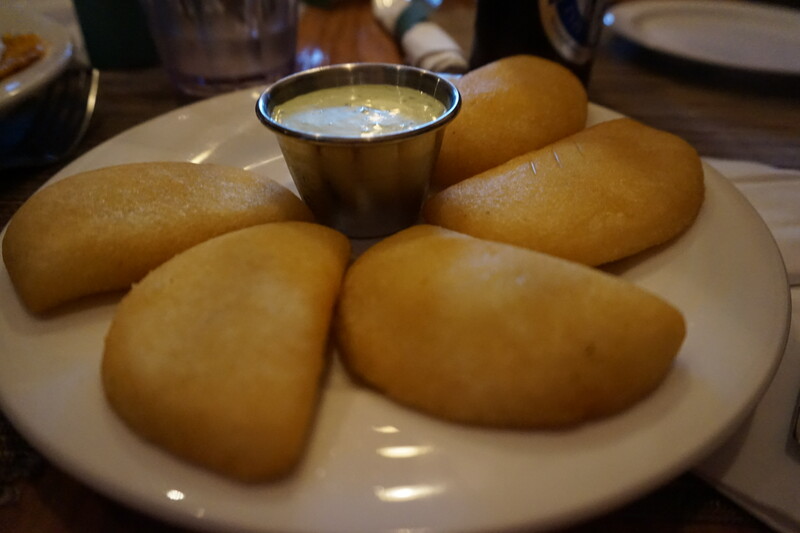 The tiny cachapas were indistinguishable, but the empanadas were the perfect accompaniment to the beer. The golden-colored cornmeal crust had a delicate crunch to it and the shredded chicken and pork stuffing lightly seasoned and moist. But like Zio had warned, hot sauce was needed to complement the flavors. The arepas were bursting with meat, and/or tuna and baby shark. The avocado and “white” cheese added a freshness to the hearty shredded pork. But again—hot sauce was needed. 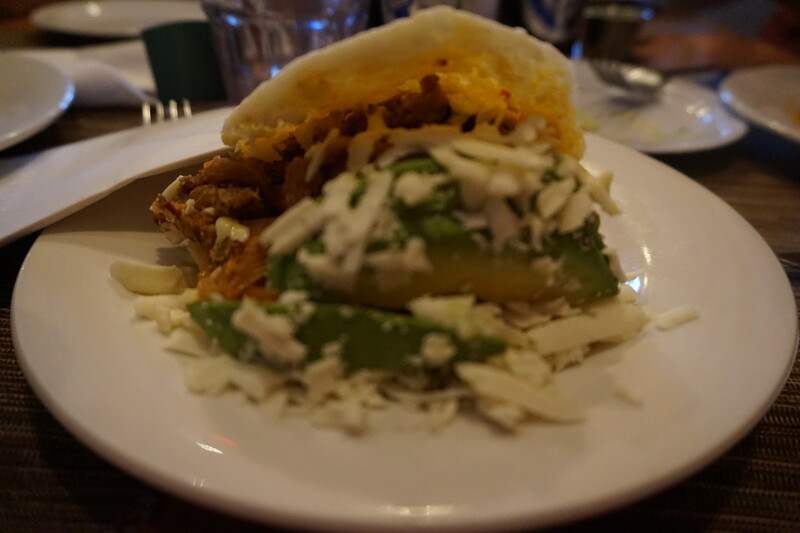 “I don’t know, this just might not be enough for me,” Eugene said after devouring his arepa. Gerry, of course, agreed. “I think another arepa is needed.” And both ordered mixed seafood arepas. “And can I have a tres leche cake,” Zio asked tentatively as if the waitress might just deny him his request. “Me too,” Gerry said to the waitress before he even got started on his second arepa. “Alright,” I conceded. “I’ll have the house salad.” I told the waitress. “Some Italians eat their salad before the main course,” Zio offered as if questioning my choice and my heritage. “Yeah, and some after,” I countered. “I don’t know. Everywhere I’ve been the salad always comes first.” Eugene said as if settling the subject. Whether settled or not, the subject was not worthy of further discussion and everyone, with the surprising exception of Mike from Yonkers who abstained from either a second arepa or a dessert, went to work on their encore dishes, quickly consuming them to oblivion. Nice one! I live across the street from their other branch, which is quite festive. Make sure you get the baby shark!